An internal error that led to hundreds of Wells Fargo customers being improperly foreclosed on impacted hundreds more people than originally thought, the banking giant has announced. Over the summer, Wells Fargo disclosed that a software error miscalculated eligibility for mortgage modifications, leading to about 625 customers being improperly denied modifications. The bank originally said about 400 of those customers eventually lost their homes to foreclosure. However, the bank now says that an expanded review has found that the number of customers incorrectly denied a modification is about 870. About 545 of those borrowers lost their homes, the bank said. Wells Fargo made the disclosure in a regulatory filing Tuesday. “We are sorry that these errors occurred,” Wells Fargo spokesman Tom Goyda told The Charlotte Observer. Goyda said that the bank was assigning a single, dedicated point of contact to each affected borrower. The bank said it had contacted most of the affected customers to provide remediation and the option of free mediation with an independent mediator, the Observer reported. In August, Wells Fargo earmarked $8 million for customer remediation, an average of $12,800 per customer. Goyda said that the bank has not updated the figure in light of the new findings, the Observer reported. The bank also didn’t rule out discovering further issues, according to the Observer. 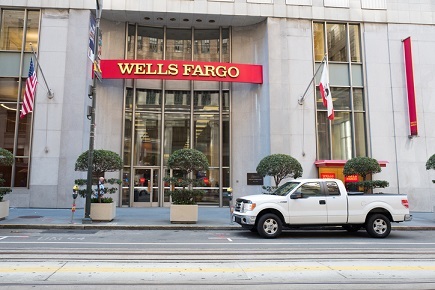 “The company’s review of these matters is ongoing, including a review of its mortgage loan modification tools,” Wells Fargo said in Tuesday’s filing.